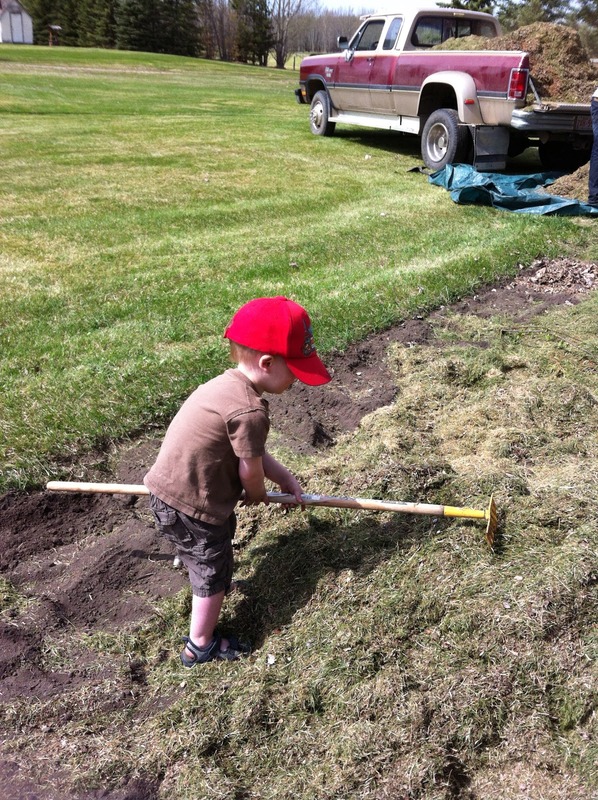 Even the littlest people get put to work! A new walkway in the back yard. Remember the mystery quilt I showed you a couple weeks ago? Well, here's a few of the quilt blocks done - I'm really liking the way the traditional quilt pattern looks with some modern fabrics. This triple Irish chain quilt pattern is one I've wanted to make for many years and it's going together like a dream. What's your favourite traditional pattern? Do you have a pattern you've wanted to try for a long time? 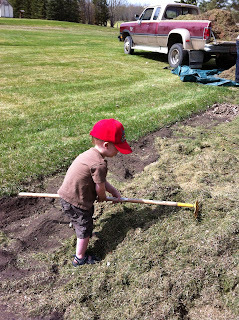 We're doing a lot of yard work as well. It's so fun and ripe with the potential of a gorgeous summer. I love the Double Irish Chain quilt. I've made 6 queen size quilts for family. I have wanted to do a Bargello but the last time I made it was frustrating. So.... I haven't started another yet. I haven't tried a Bargello yet. One of the ladies in our guild did some placemats - I think that might not be as frustrating as a large quilt! My favorite is Birds in the Air. We are into the yard, too. That'll be a lovely walk. I love Birds in the Air too - it's a good pattern for scraps! Envious of your garden, we still have a risk of night frosts until the middle of June, as well as of a walkway building son. 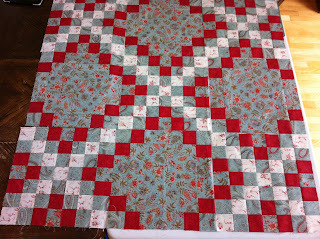 And your quilt is such a fresh take on a lovely old pattern. We still have risk of frost here too. Being so near the mountains and so high in elevation, the nights are cool most of the summer! Last year the garden didn't get in until 2nd week of June! Your triple Irish Chain is really pretty! I think my favourite traditional pattern is the Double Wedding Ring. I made a double bed sized one for our son when he married and I've made a couple of smaller versions for babies over the years. 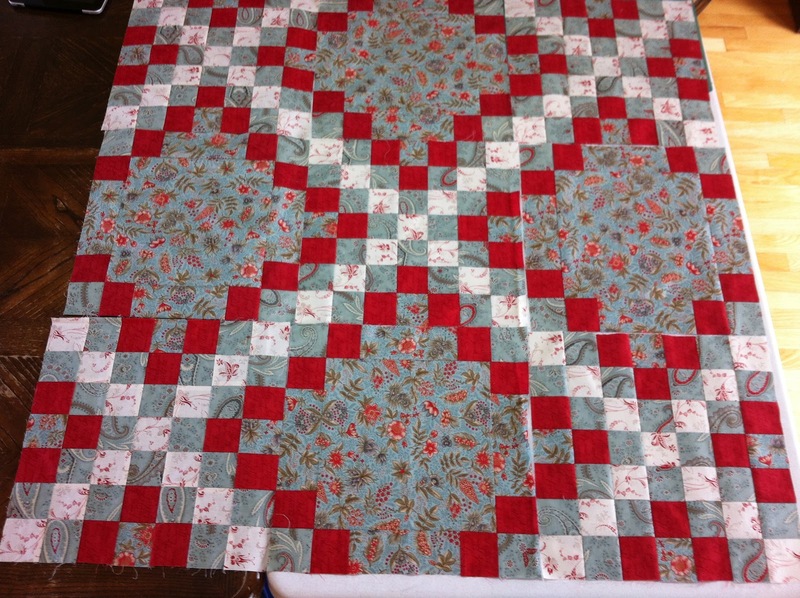 Grandma Coco - the double wedding ring was the quilt that got me into quilting. I've only made one, but it took me 9 years to finish! Would love to see the ones you've made.